In February 2018, Pastor Smith started teaching a new series on Sunday nights. 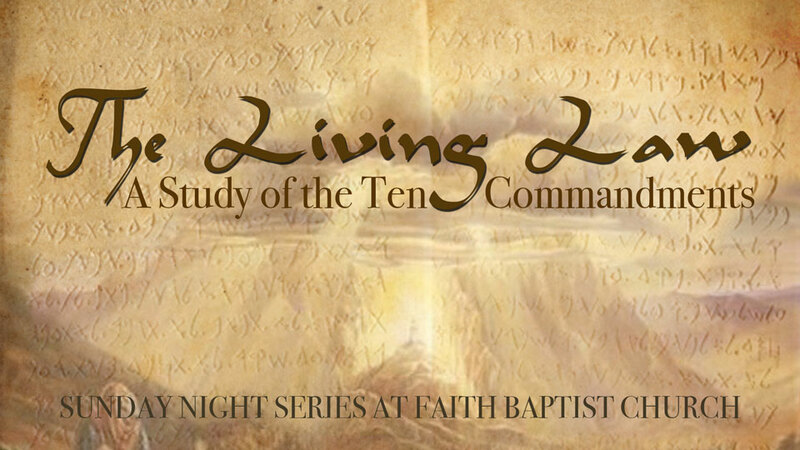 The purpose of this series is to educate and expound on the Ten Commandments. Below, you will find both the video and audio of these sermons, along with the notes that were handed out to our church family during the Sunday evening services. If you wish to order a copy of these or other sermons preached at Faith Baptist, please click on the Place Order Here button on the right side of the menu.